Welcome to Ballylifford Primary School – a caring community focussed on children and committed to their individual good. Thank you for taking the time to look through our website which I am sure will provide you with lots of information about our school. Our overriding aim is to help children develop into mature, responsible young men and women who have a feeling of self-worth and importance. To do this it is essential that we work in partnership with parents and the wider community. Indeed the success of our school depends on good relationships between staff, pupils and parents. Our website outlines what we stand for and what we can offer your child at Ballylifford Primary School. It provides you with information about our school and an insight into our policies and practices. Of course no website can convey the real atmosphere of a school and should you have any other questions or concerns please do not hesitate to visit the school and we would be delighted to show you and your child around. 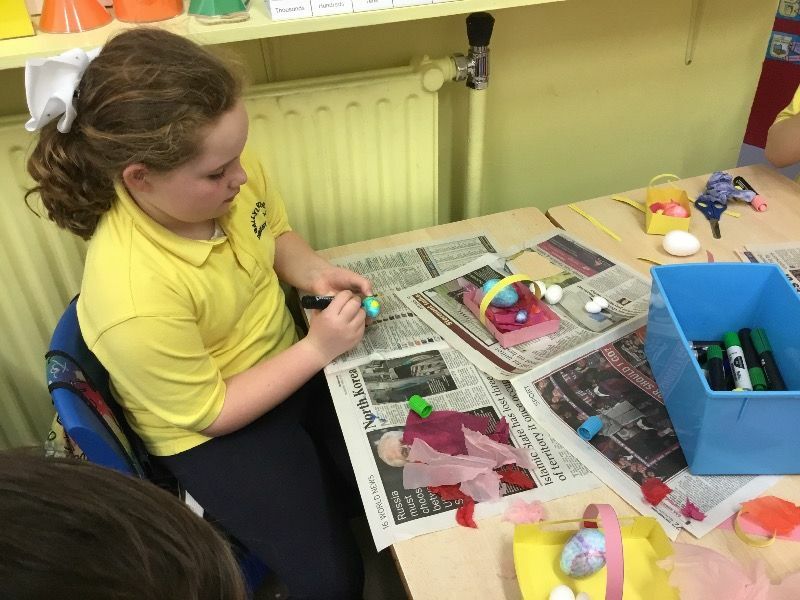 Art Competition and Easter Egg Bonanza at Ballylifford P.S.